Because my issues with gluten and Baby Honeybee’s severe egg allergy and mild milk allergy, I have made it a priority to figure out this whole gluten-free and vegan baking thing. 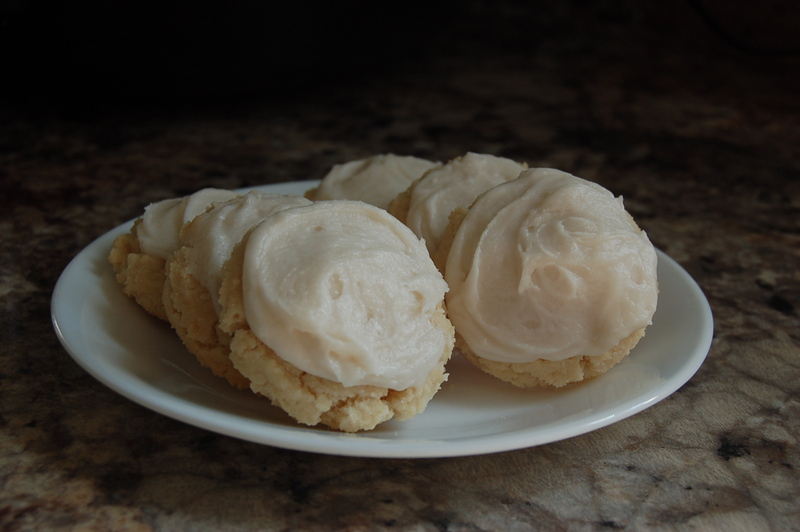 In the past, when I bake cookies for the family, my focus has been on egg-free, not necessarily dairy or gluten-free and I often get left out. No fair. 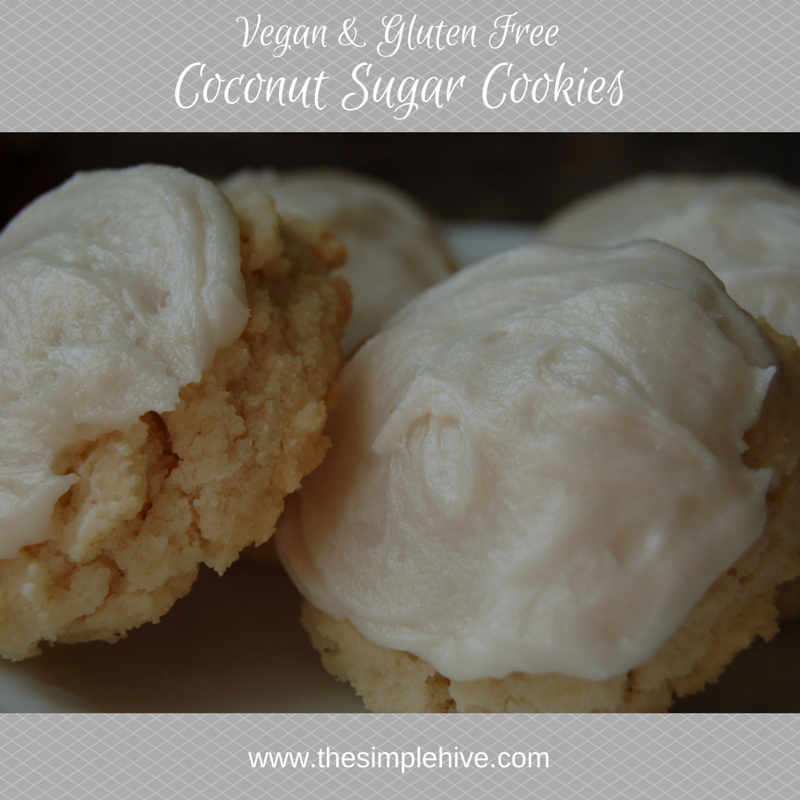 That all changed when I came across this recipe for gluten, dairy and egg-free coconut sugar cookie recipe from yammiesglutenfreedom. The recipe, as written, accommodated all our needs without any substitutions. She is awesome. I might cry a little. Seriously, she is an amazing young woman. Check out this About Me page on one of her blogs. Impressive. I could ramble on, or I could move along to the recipe. That’s really why you are all here, anyway. Well, there may be a few of you who love to read the ramblings of a lunatic. You know who you are. Combine the dry ingredients in a separate bowl and set aside. 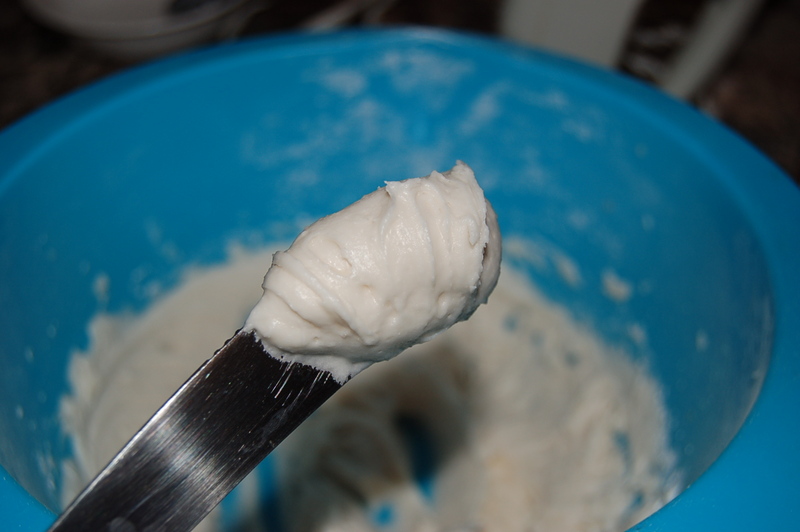 Cream together the coconut oil and sugar with an electric mixer. If your coconut oil is too hard, soften it in the microwave for about 15-20 seconds, then add the sugar and mix. Add the coconut milk and vanilla and mix well. Add the dry ingredients to the wet ingredients a third at a time, mixing thoroughly. The mixture will be moist and fluffy. Cover the bowl with a clean towel and let sit at room temperature while the oven preheat to 350 degrees F.
Line 2 baking sheets with parchment paper. 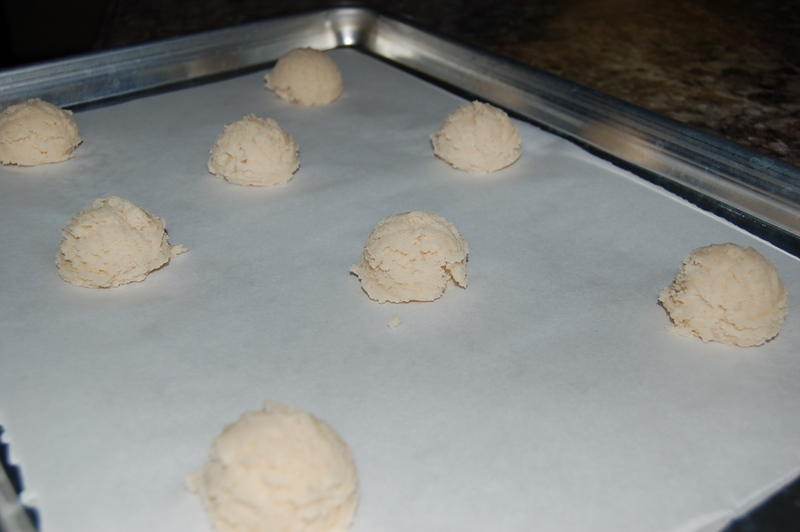 Use a small scoop or your hands to roll 1.5″ balls of cookie dough. Do not flatten the dough and you will get a nice, soft cookie. Bake for 11-12 minutes, rotating the trays halfway in the cooking time. Let cool for about 3 minutes on the baking sheet, then transfer to a wire rack to finish cooling. Frost with the following recipe when completely cooled. Sift the powdered sugar through a fine mesh sieve to remove any lumps. In a separate bowl, mix together the coconut oil and vanilla. Alternate adding the powdered sugar and the coconut milk, mixing well. Spread the frosting on each cooled cookie. The coconut oil give the frosting the consistency of buttercream, so you can use a pastry bag to make them as fancy as you like. Now go on. 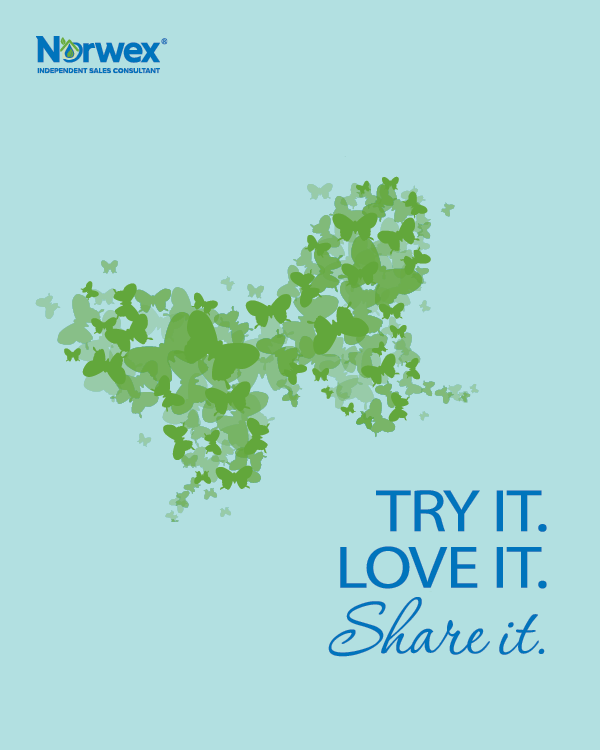 Make these and share the cookie love. This post is linked-up with The Art of Home-Making Mondays. Hop on over to the party at Strangers and Pilgrims on Earth for other great blogs. Thank you! I hope you get a chance to make them. I enjoy your blog and look forward to linking up with you more often!